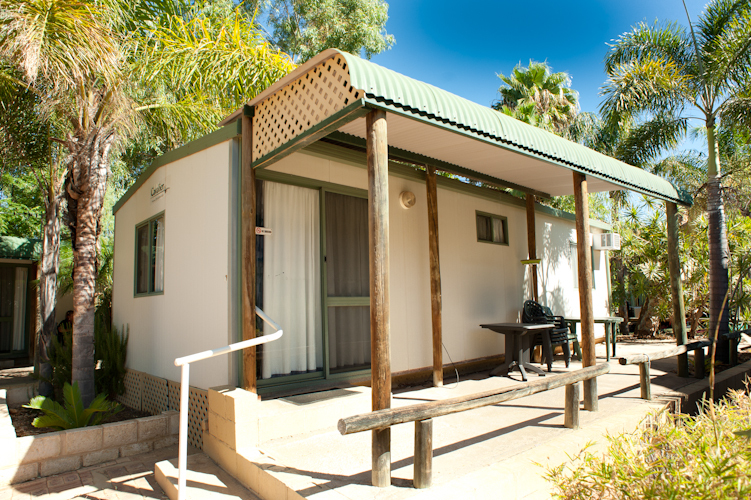 Murchison River Caravan Park has many things to offer, one of these is the many different types of accommodation. 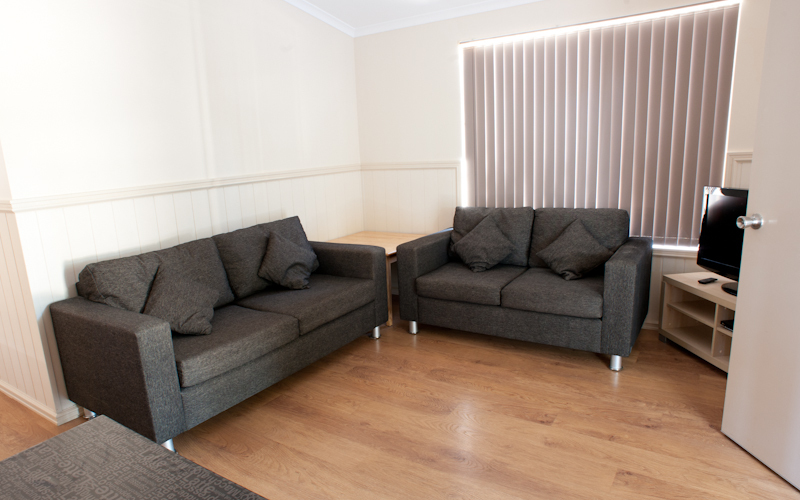 As a result we will have the accommodation just right for your needs. So feel free to browse through what we have on offer below. 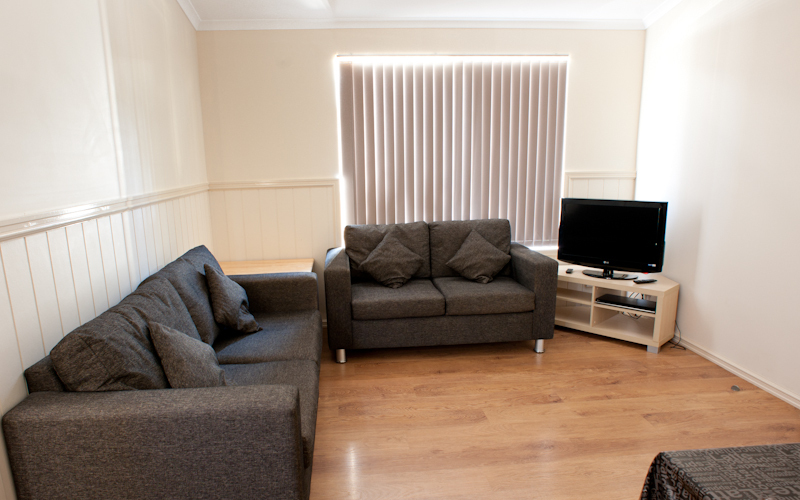 The sites at the caravan park are many and varied and we try to match your requirements to a particular site. Many of the sites have expansive shade from our established trees along with shadecloth pegged to the ground so that you have a clean area to set up on. 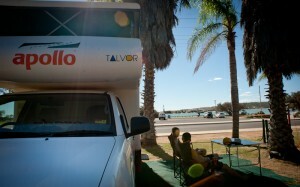 We do have sites with sweeping views over the Murchison River and others that are tucked away for more peace and quite. We also provide large drive-thru sites for all large rigs and caravans. 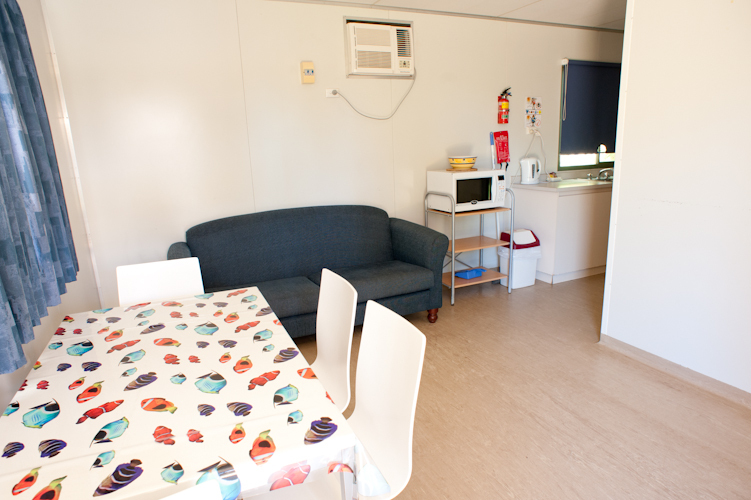 To complement your stay we have free gas BBQ’s, a campers kitchen with cook tops, toasters, kettle large sinks, fridge/freezer, t.v and seating area, children’s playground and spotless amenities. 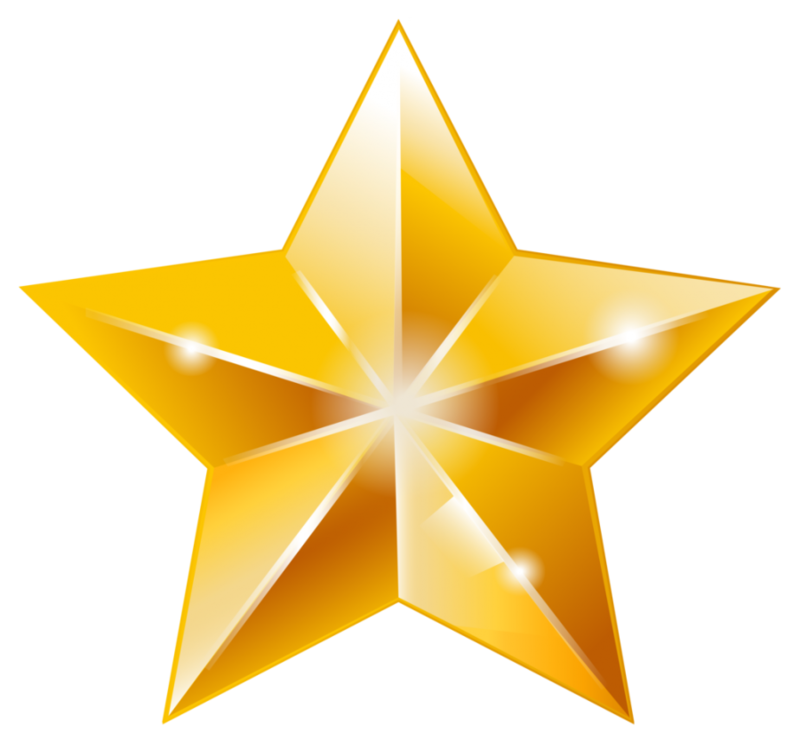 Powered site price: $42 per night for 2 adults and $8 per night children 4 years and above extra adults $12 each per night. Weekly rates apply outside of school holidays and are listed here. Our new deluxe cabins have 2 bedrooms with a queen size bed in one room and two full size single beds in the second bedroom. 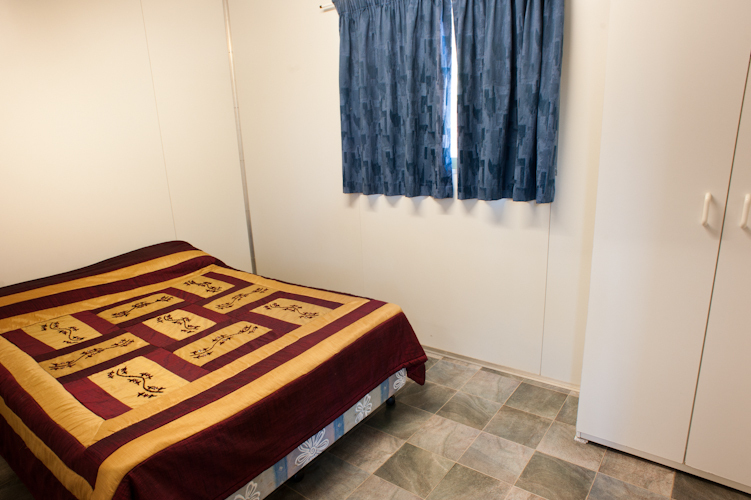 Each cabin has a large front verandah with outdoor setting and convenient parking. Linen is provided to all beds along with bath towels, so all you need is your beach towels. 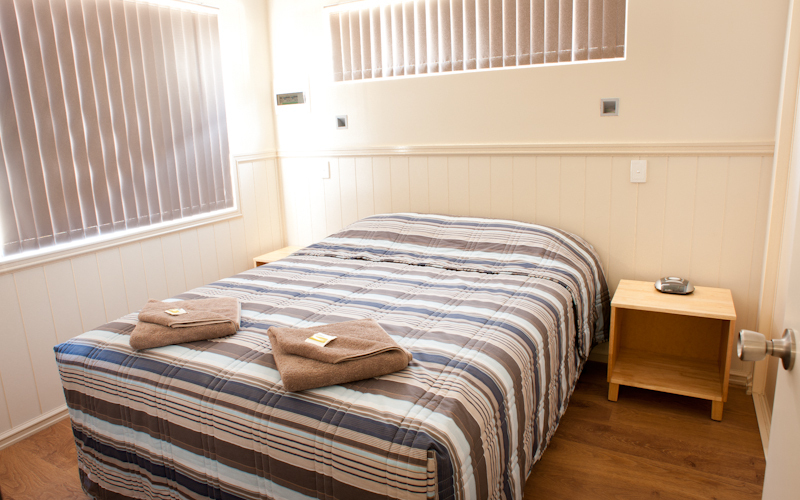 Price: $180 per night school holidays and long weekends $145 per night all other times. Prices are based on 4 people. 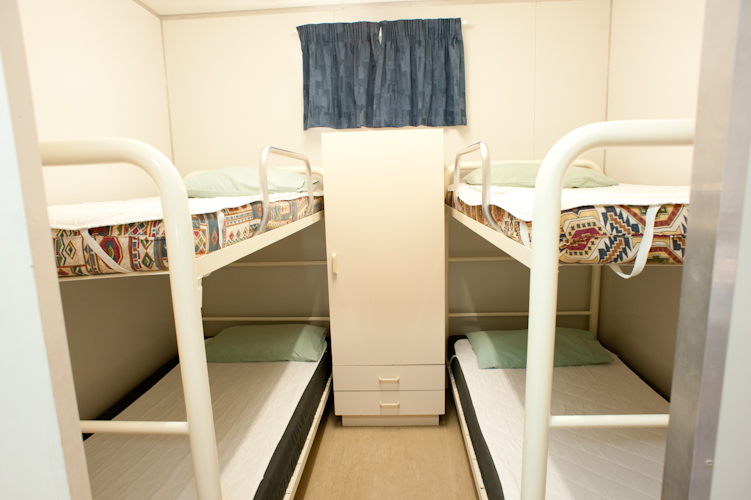 The standard en-suite cabins have 2 bedrooms with a double bed in one room and two sets of bunks in the second. 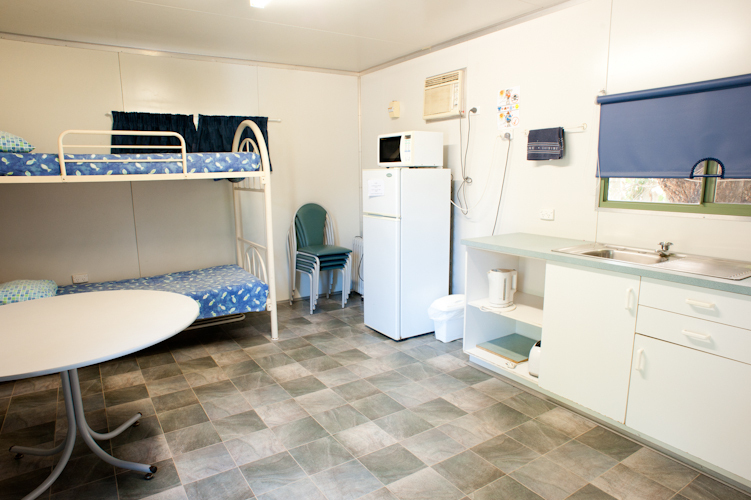 Each cabin has a verandah with outdoor setting and convenient parking. 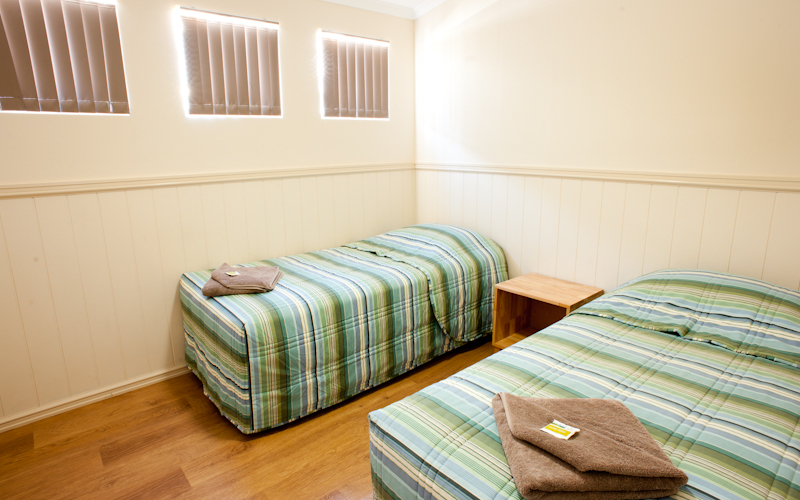 Linen and bath towels are provided for the double bed and can be provided for the single beds at a cost of $8 per bed. 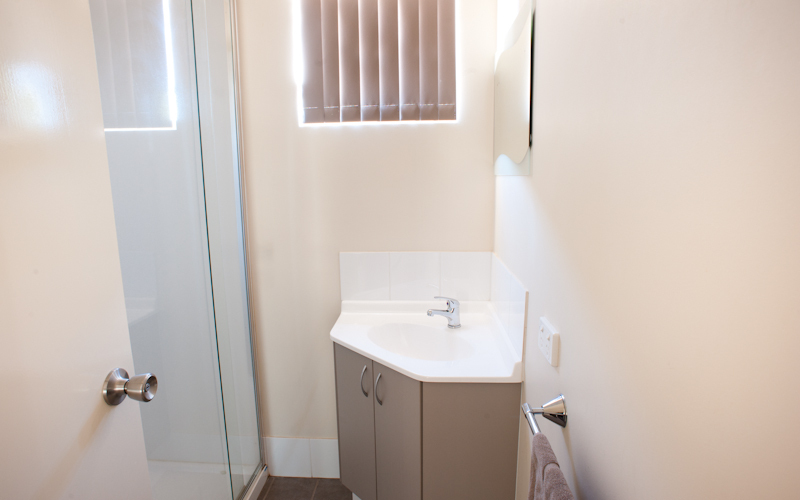 Price: $130 per night school holidays and long weekends $115 night all other times. Prices are based on 4 people. 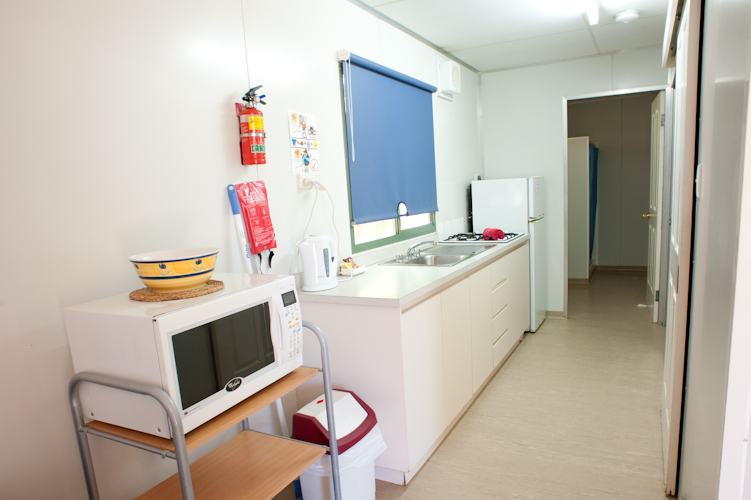 The non en-suite cabin has a double bed in one room, and one set of bunks which are in the same room containing the living room and kitchen. 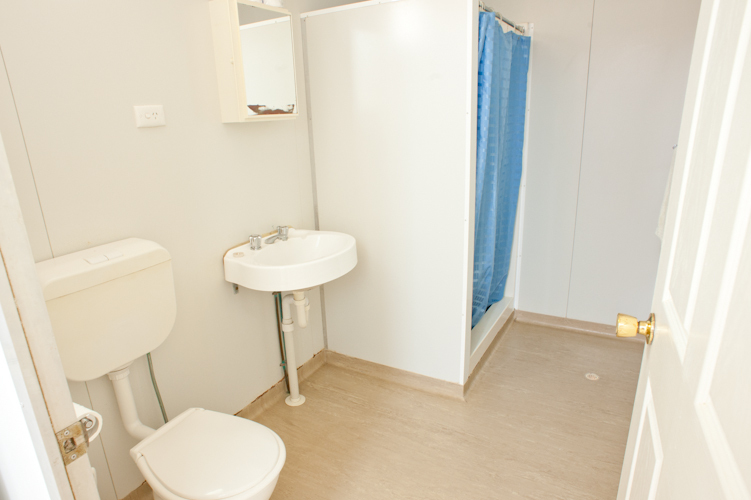 There is no bathroom and your showers and toilets are at the amenities buildings on the caravan park. 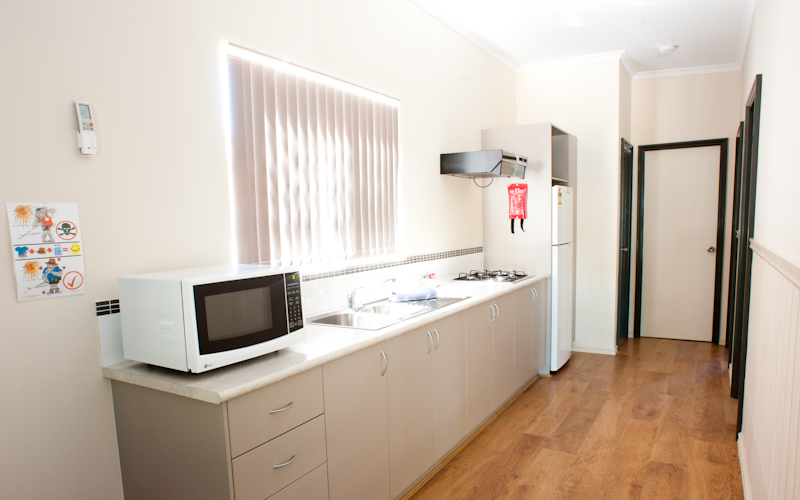 There is a fully equipped kitchen including cook tops, wall mounted TV and air conditioning. 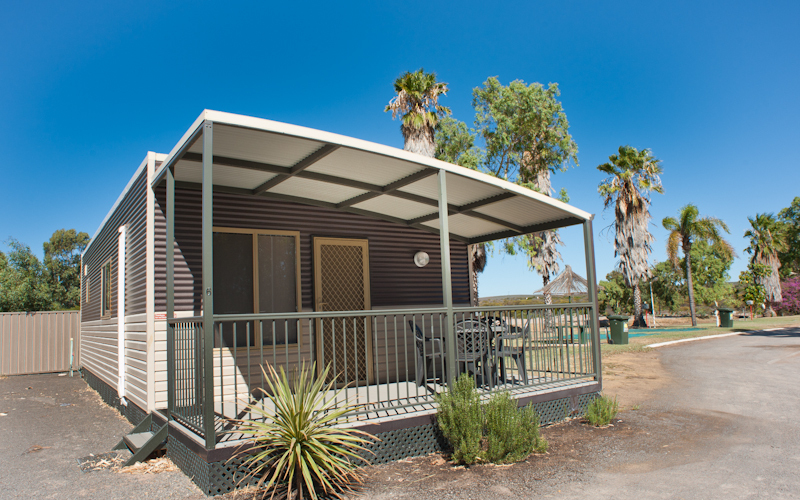 Each cabin has a verandah with outdoor setting and convenient parking. 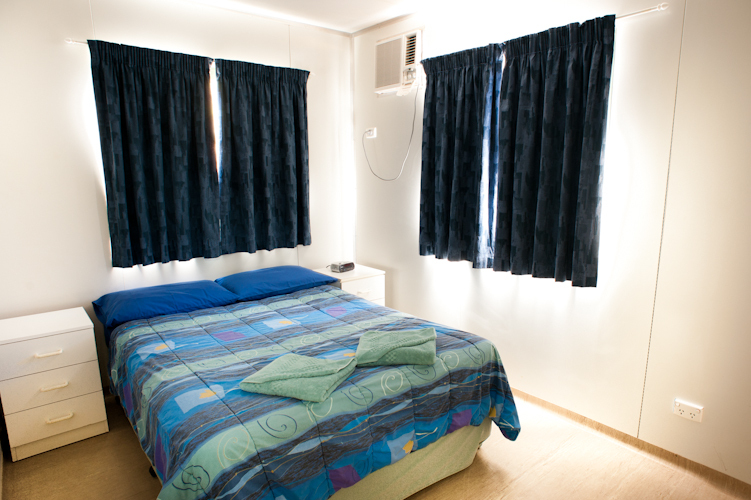 Linen is not provided, but can be supplied at a cost of $8 per bed. 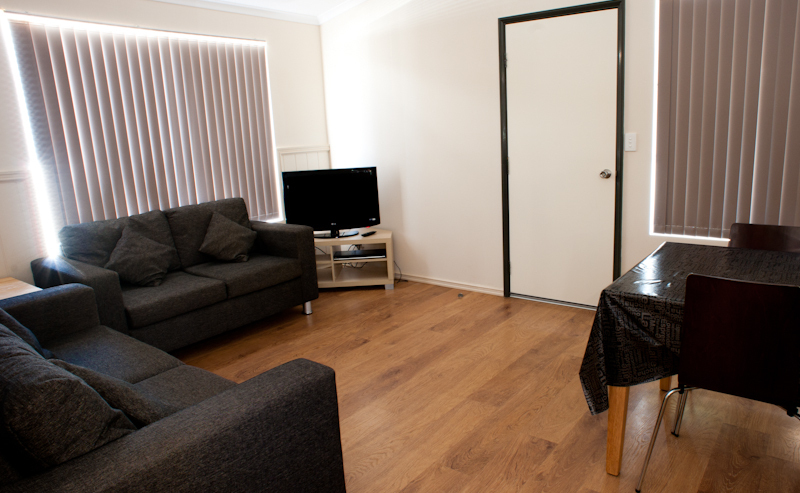 Price: $95 per night school holidays and long weekends $85 per night all other times. Prices are based on 4 people.